 The Hillsdale County Community Foundation is accepting applications for membership on the Youth Advisory Committee of the Foundation, YOUTH (Youth Opportunities Unlimited Throughout Hillsdale). The YOUTH Committee is an elite group of young people responsible for county-wide funding decisions and performance of community service. YOUTH membership is made up of two voting members for each school district in Hillsdale County, as well as homeschooled students. Applications are currently being accepted for potential members, age 12-21, from the following school districts: Camden-Frontier, Hillsdale, Hillsdale Academy, and Will Carleton Academy. Applications are also welcomed from homeschooled students who live in Hillsdale County. • Completed applications are due in the HCCF office by 4 pm on April 2nd. Applications forms are available at the Foundation office at 2 South Howell Street in downtown Hillsdale, or online at www.abouthccf.org. For more information, please call the Foundation office at 517-439-5101. The Hillsdale County Community Foundation YOUTH was established in October of 1991. The YOUTH Advisory Council has an ongoing program for studying the assets, needs, and concerns of the young people of Hillsdale County. YOUTH has a special endowment fund, initially made possible by a challenge grant from the W.K. Kellogg Foundation, to make available grant dollars to benefit and involve young people in Hillsdale County. To receive and administer funds for artistic, charitable, educational, and scientific purposes in a manner that both promotes the spirit of philanthropy and meets the needs of the people of Hillsdale County.